The only symbol that can make you realize you are passing by a church is the cross. This icon dates way back to ancient times when Christianity first started spreading the gospel. 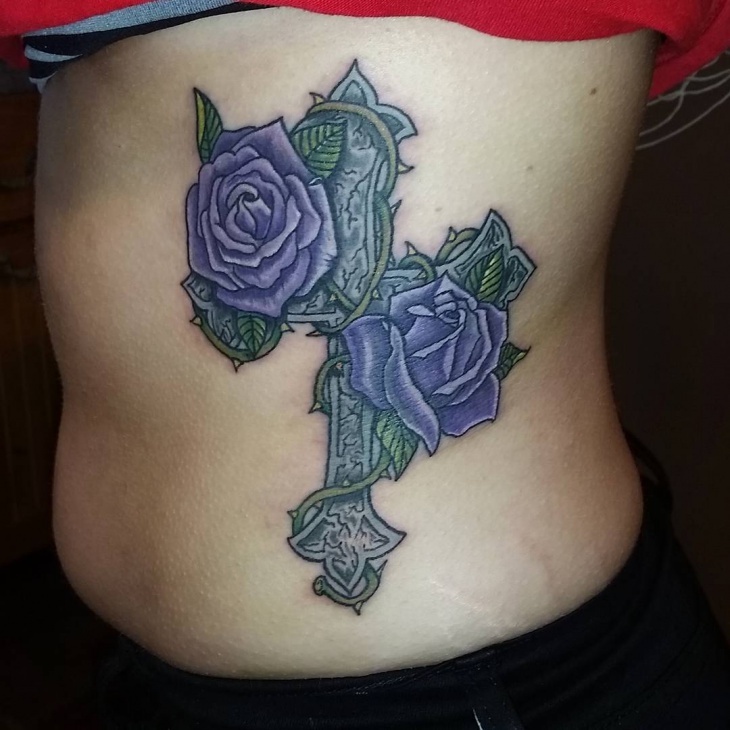 While a majority of the people get cross tattoo designs to express their religious stand, other people incorporate additional elements such as roses to depict a personal meaning. 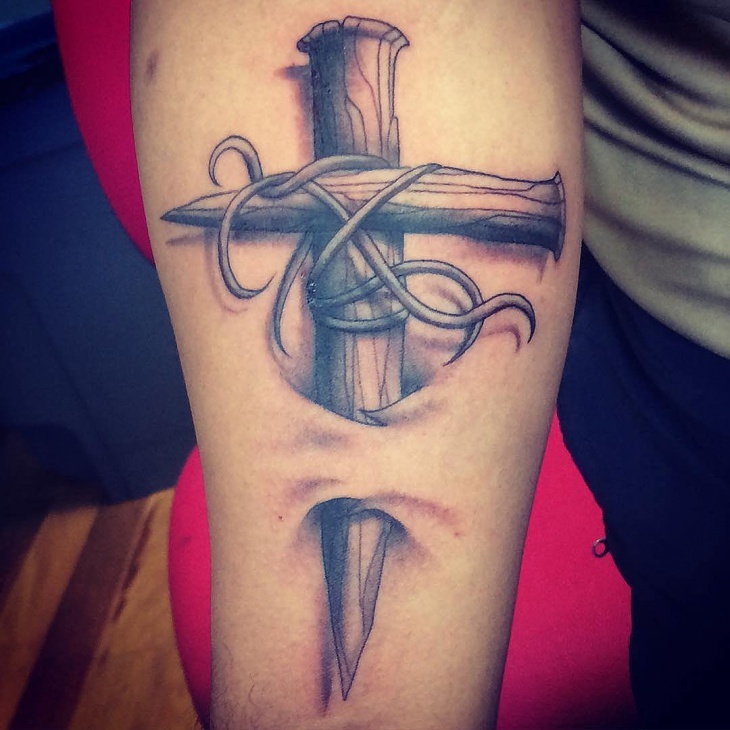 In this article, we have 20 different cross tattoos that will look amazing on your body. 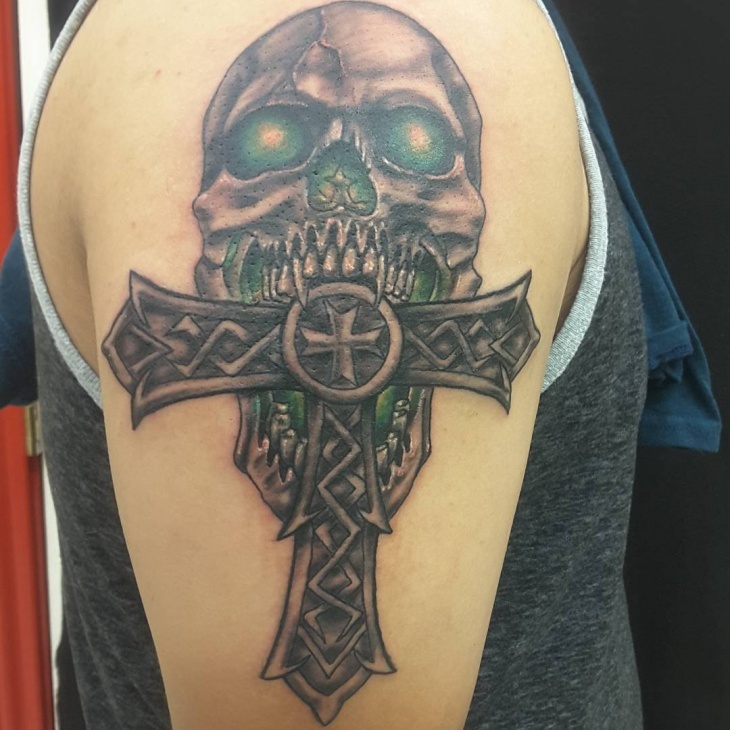 The Celtic cross tattoo is the oldest cross symbol which represents heritage, faith, and positivity. You can identify the Celtic cross by looking for knots and loops which intertwine to form a unique design. 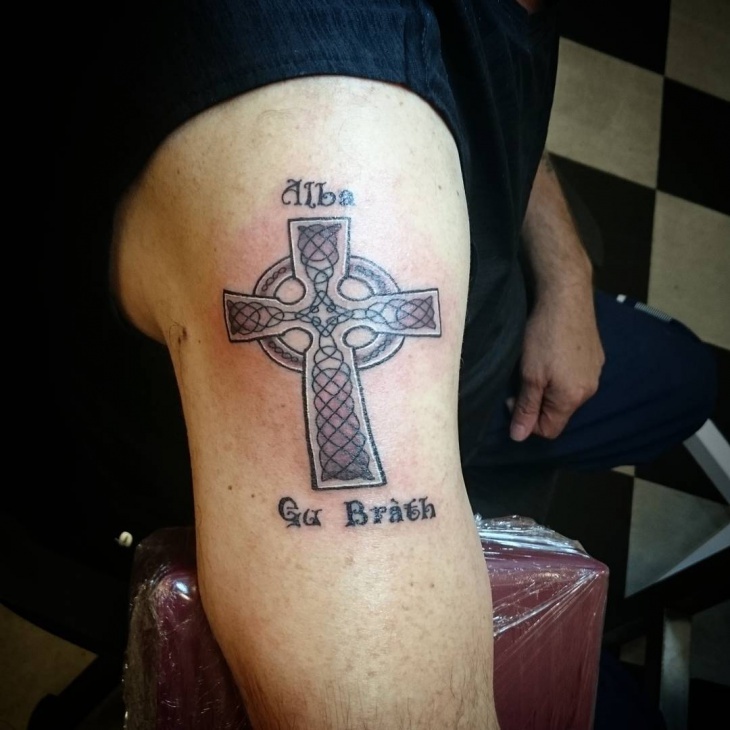 You will look awesome no matter where you place your Celtic cross tattoo. 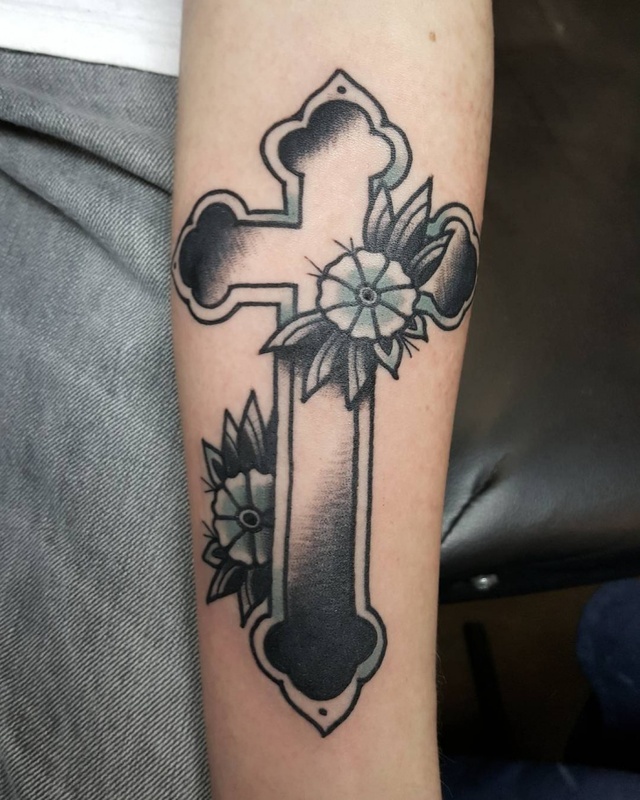 Cross tattoos are the most versatile designs. You can get them in either large or small size as well as include color. 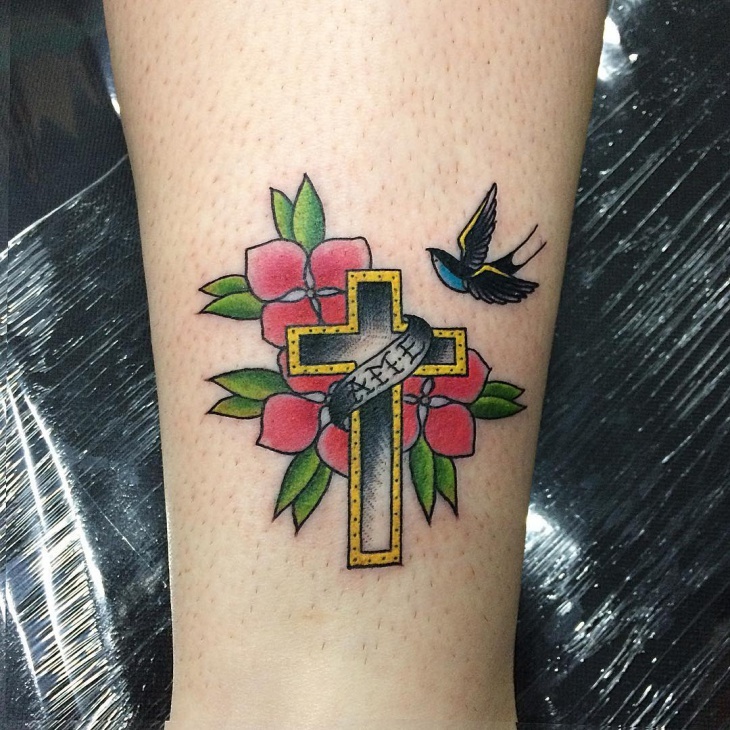 Small cross tattoo designs are ideal for ladies who prefer subtle designs and you can place it on a finger, neck, behind the ear, wrist or ankle. 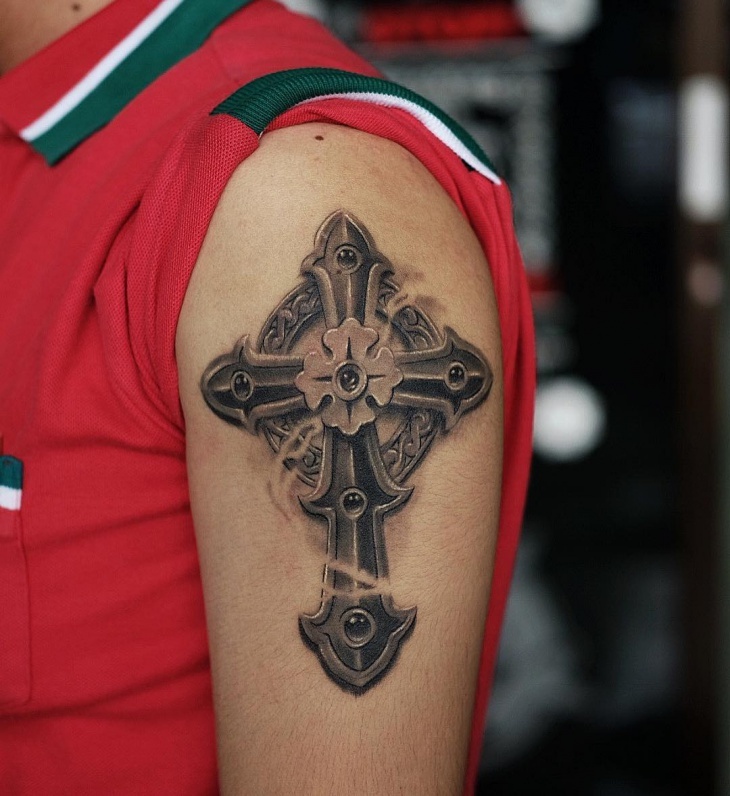 Tribal cross tattoo designs are a symbol of honor, life, and hope. They are a favorite with men and others go as a far as opting for a cross in 3D design to enhance the image. 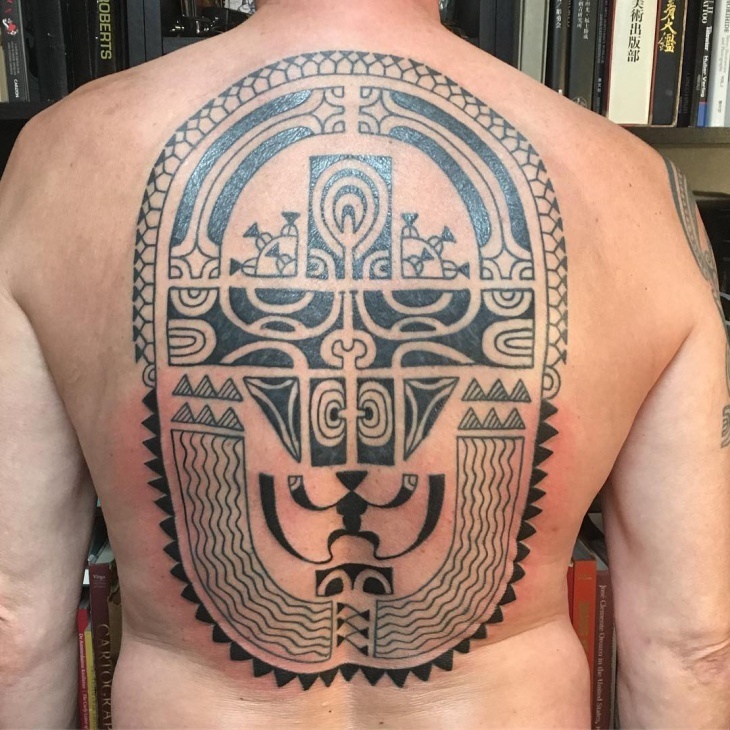 You can identify these tattoos by their curved lines, use of black ink and dark shadings. 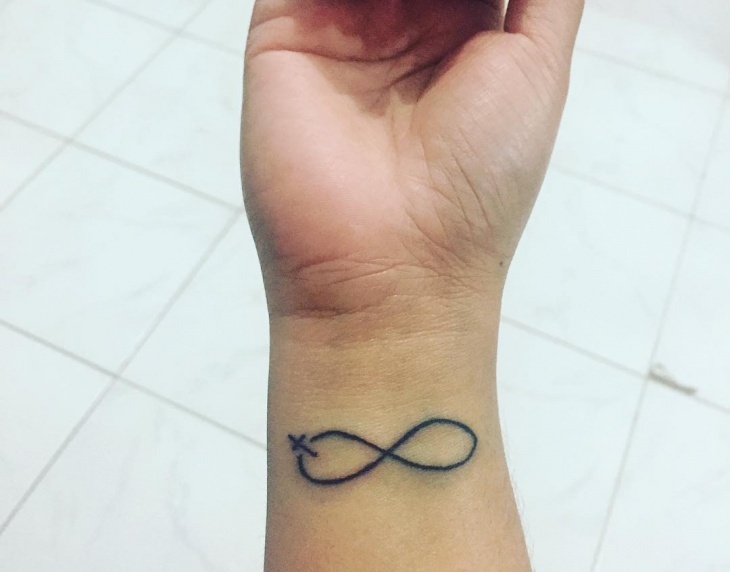 While the cross is popular with all gender, the infinity cross tattoo design is perfect for ladies. 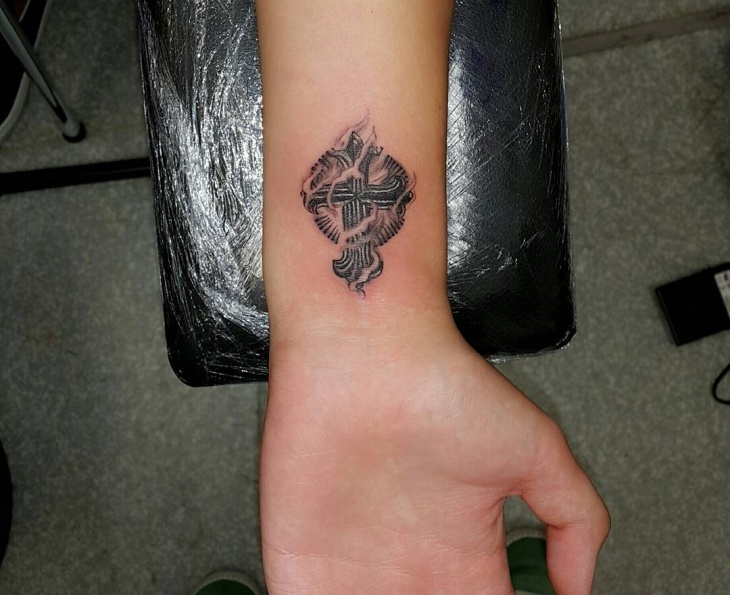 This tattoo tends to feature two interlocking infinity symbol and symbolize the eternal power of faith. 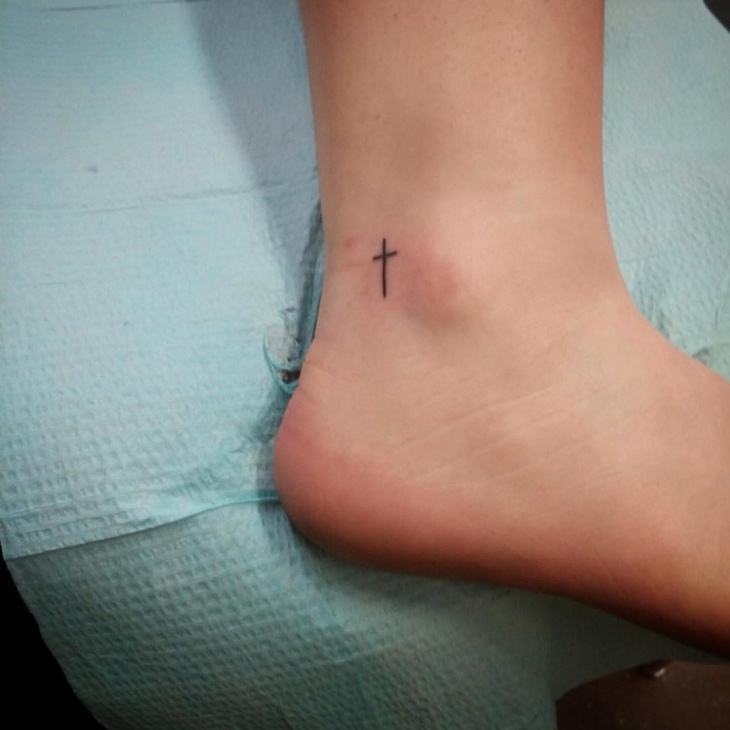 You can personalize this tattoo by adding a bible verse or short words such as faith or even your name below the cross. 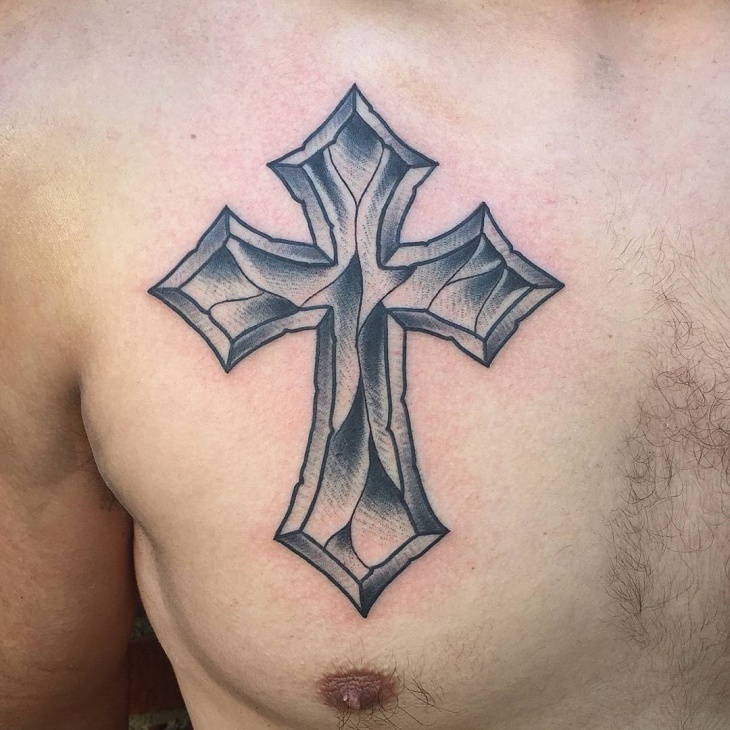 If you need your cross tattoo to be eye-catching and make a statement, then opt to get it in a 3D style.3D cross tattoos give a realistic look to the design making it seem as if it is on your skin. 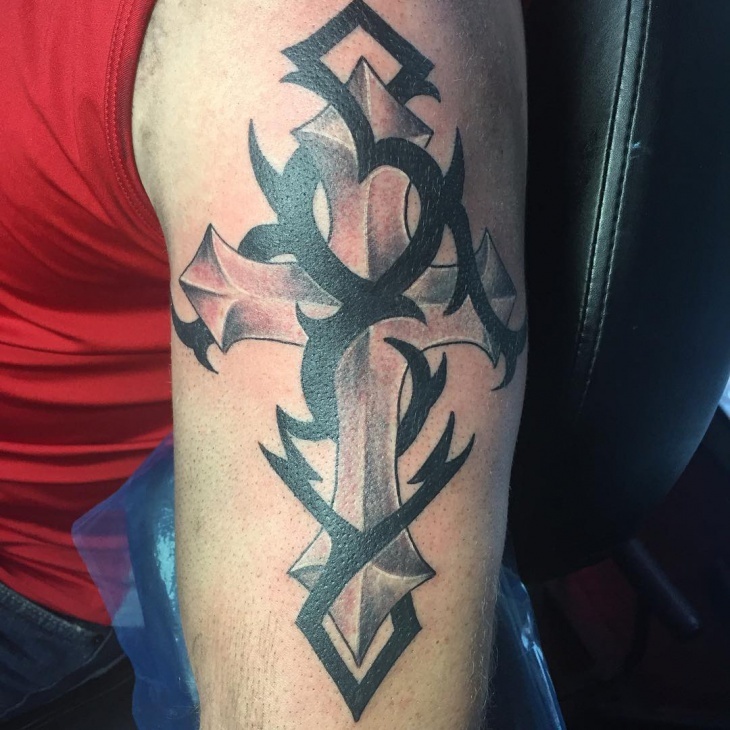 The 3D effect makes the cross appear as if it is raised enabling your tattoo to look more authentic. 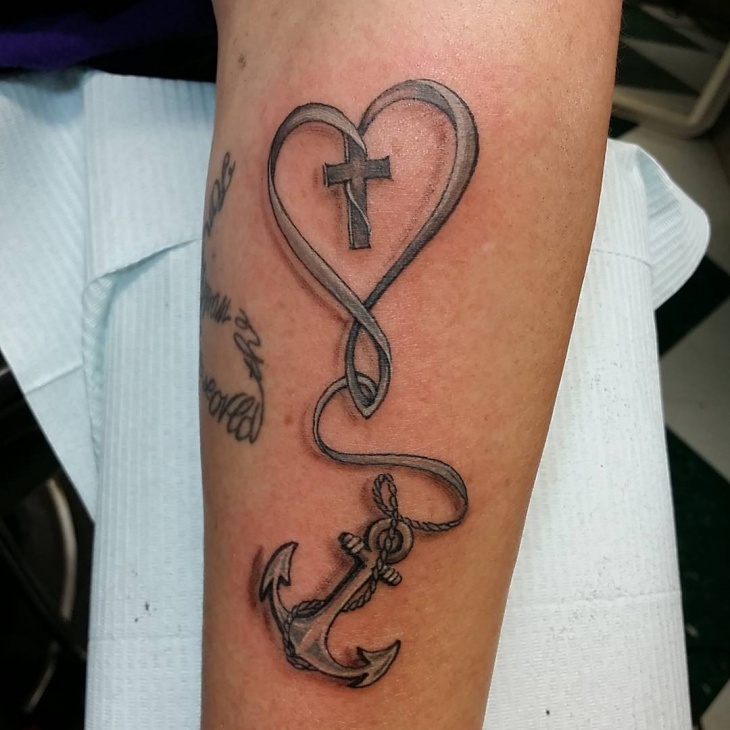 If you prefer nautical tattoo designs, then incorporate a cross to an anchor to form a beautiful cross anchor tattoo. 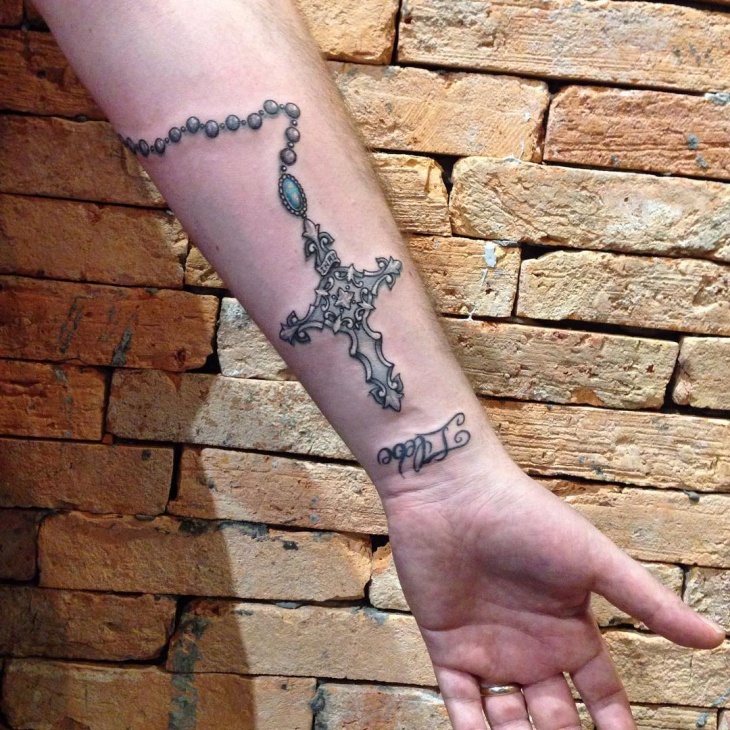 For this tattoo to be spectacular, then stick to using Ankh, Greek or Latin cross designs. 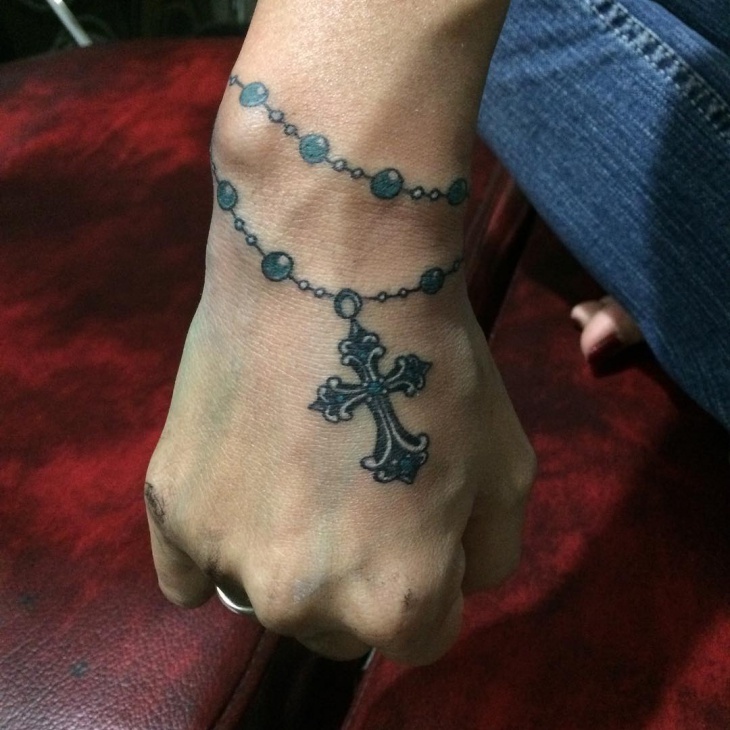 Get this cross tattoo to symbolize how faith grounds you. 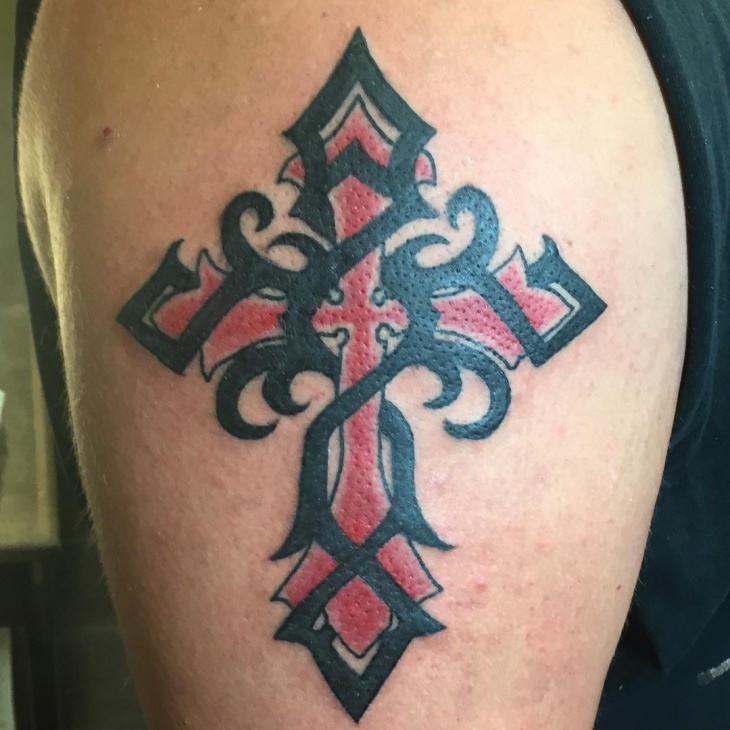 Traditional cross tattoos feature a simple vertical line on which you place a horizontal line at the center. These tattoo designs are a favorite to Christians who view the vertical line with male traits such as activeness and full of life. The horizontal section represents female and depicts earth or destructions. 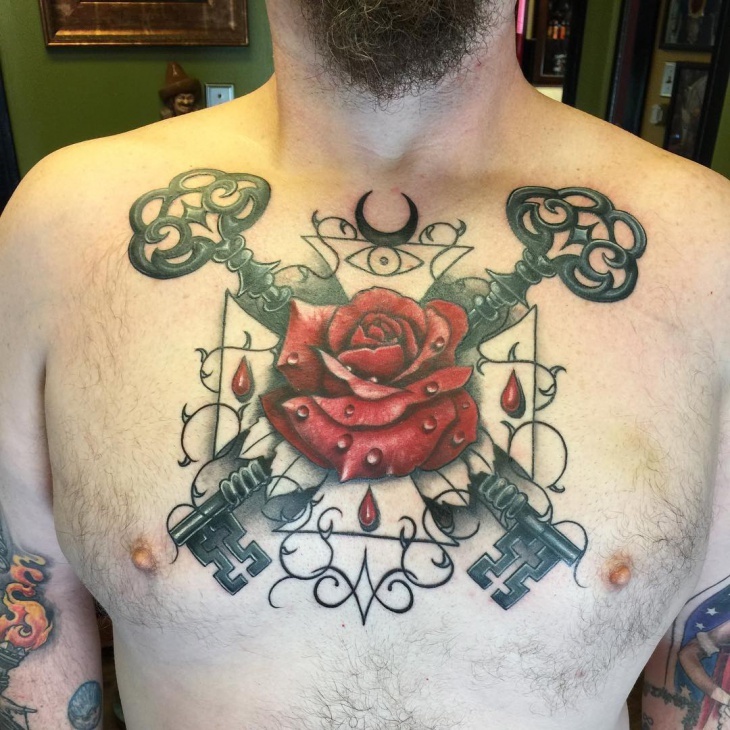 Have you ever thought of integrating a vibrant or anatomical heart design to your tattoo? 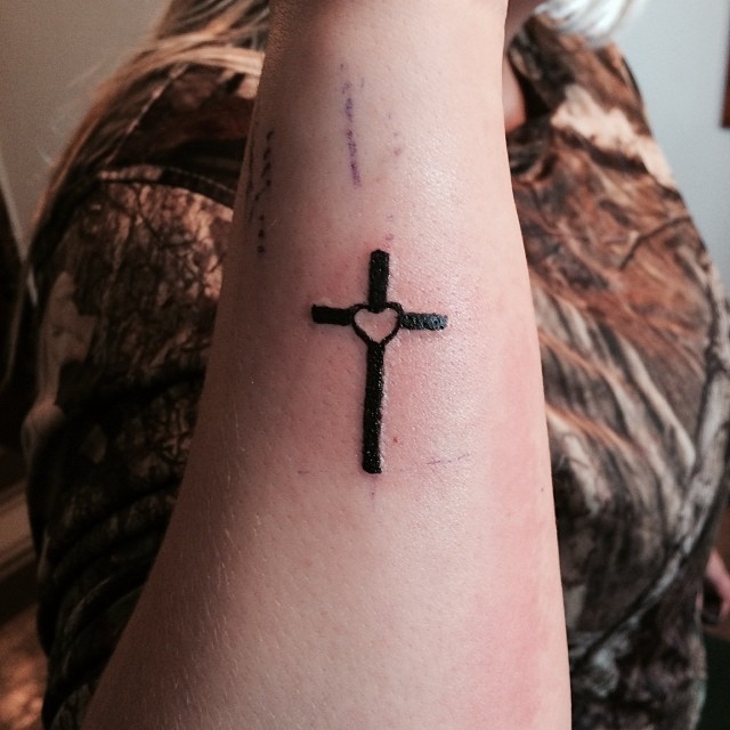 Then why not combine a cross with a heart to portray how you have faith in your loved ones. 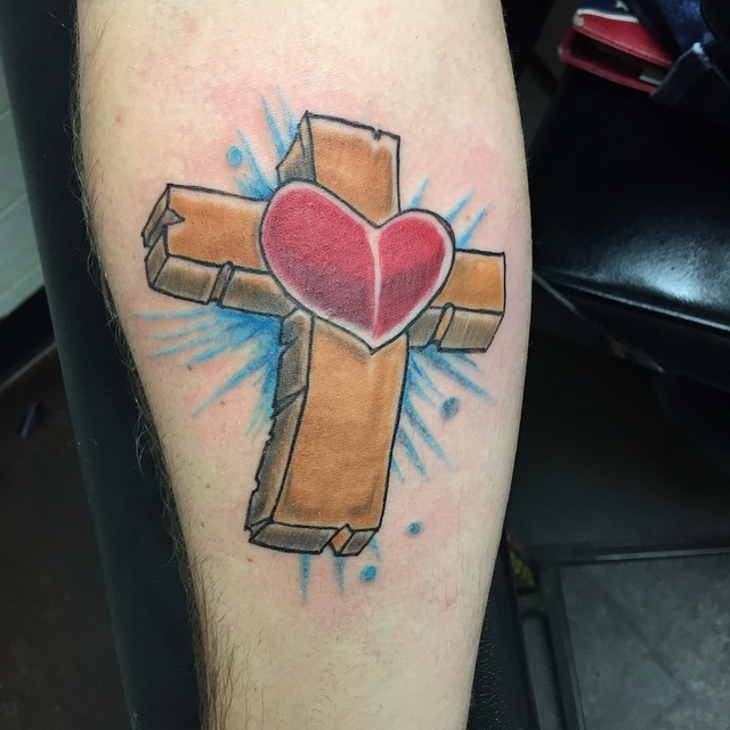 To make your heart stand out ink it in a red color and add a brown cross tattoo. 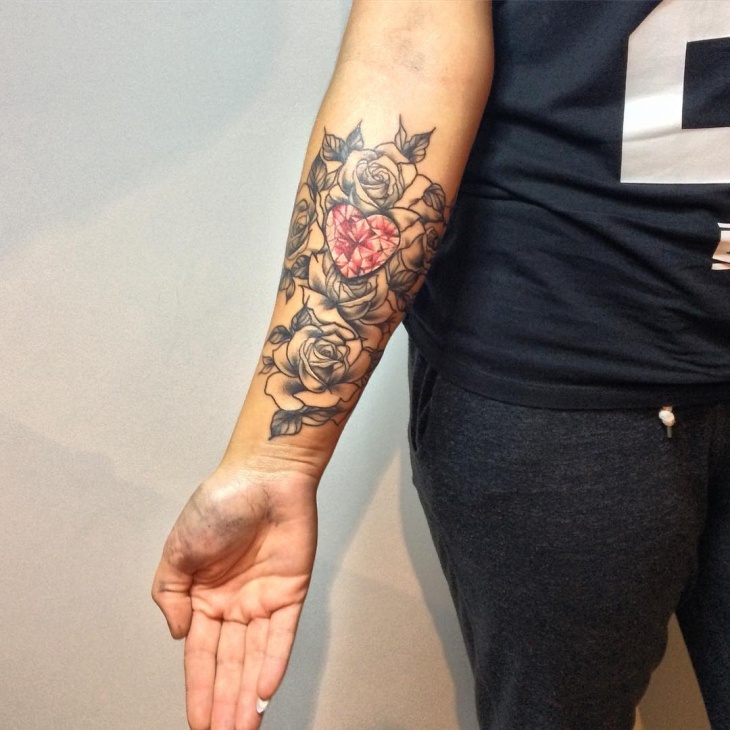 When most people think of adding flowers to their tattoos, a rose is usually top of their list. 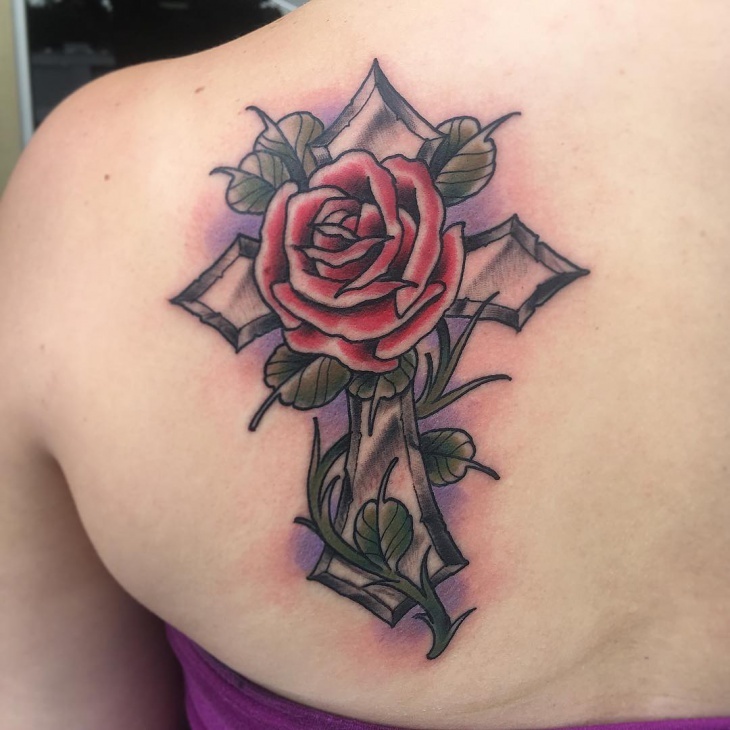 A design that is particularly feminine is that which adds a vibrant red rose to a cross tattoo. For a masculine look opt to make both the rose and cross in black or brown color. 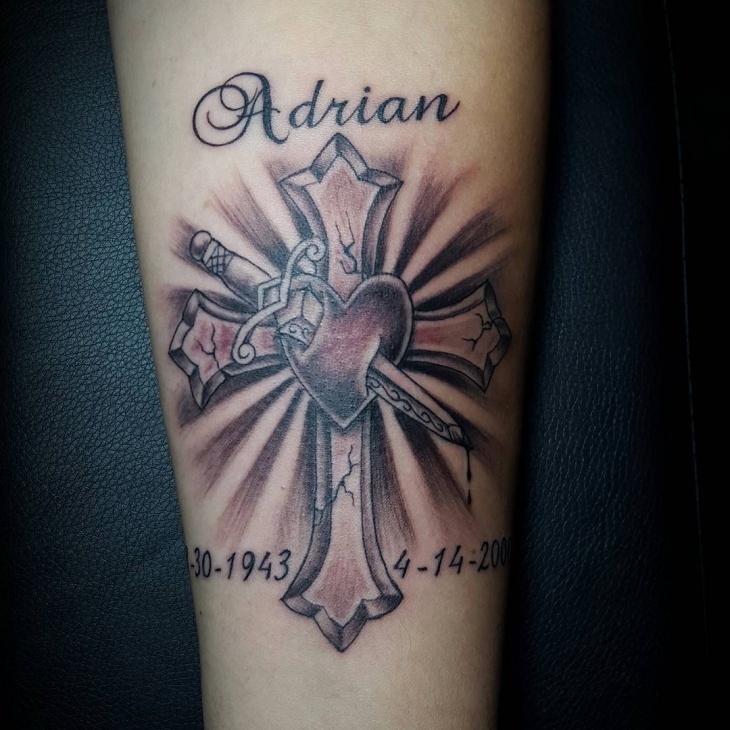 Cross sleeve tattoo designs involve putting your cross design on the sleeves. You can opt for a simple sleeve cross tattoo or integrate other elements to form a full sleeve tattoo. 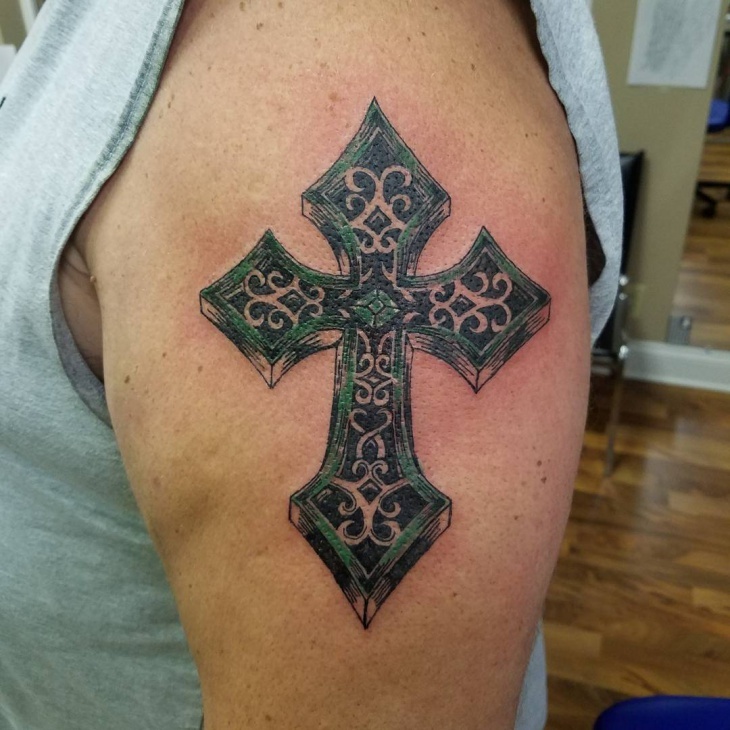 A dragon, eagle wings, vines, koi fish and Polynesian symbols are some of the items you can add to make your cross tattoo beautiful. 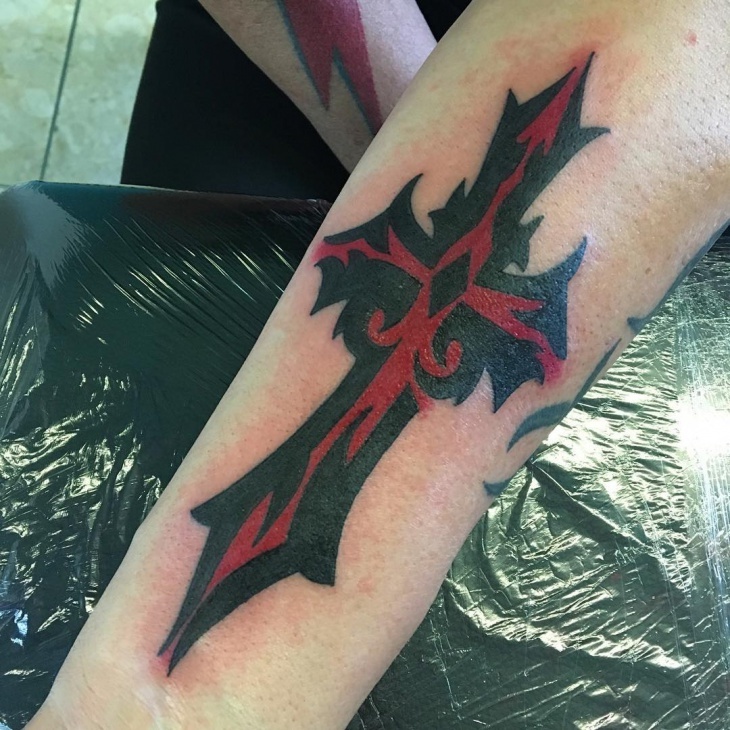 Gothic cross tattoos primarily focus on dark shadings which use black ink and thick lines. You can opt to make your cross look as if it is sculpted from a stone without forgetting to include a little bit of rough edges. Another way is to add items that are considered gothic such as skulls or snakes. If you need to make your cross feminine, then add a vibrant flower. 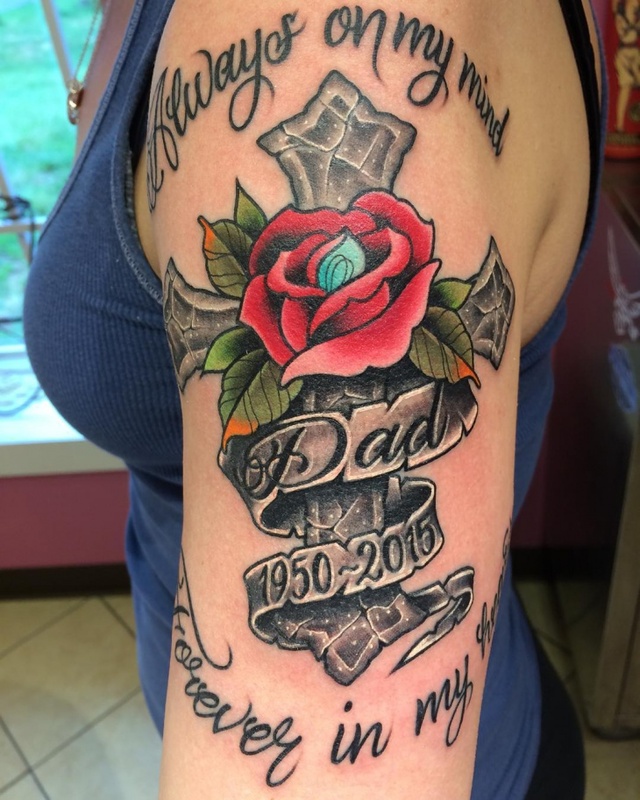 Whether you want to incorporate vibrant flowers such as roses and hibiscus or simple black flower designs the choice is all yours just ensure you come up with flower cross tattoo designs that highlight your personality. 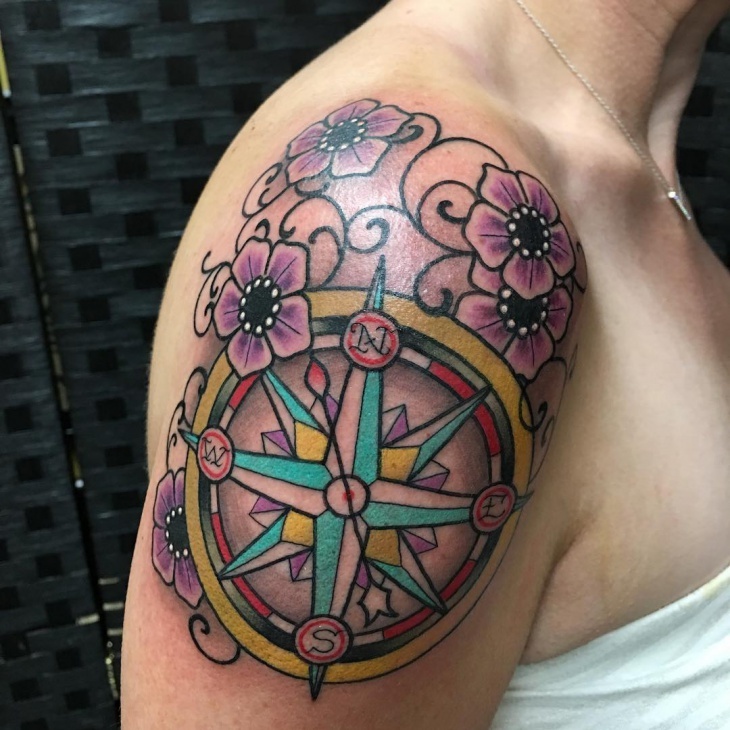 Combining a cross tattoo with a compass is a way of showing the direction your faith is taking. 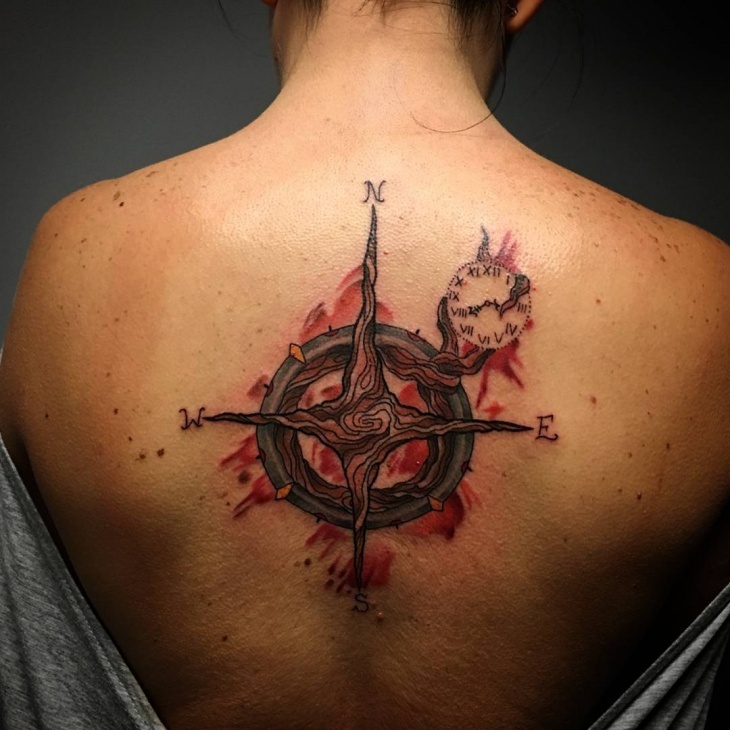 Suitable for people who love adventures or exploring the world, compass cross tattoos have to be in a big size so opt to place it on the chest or back. 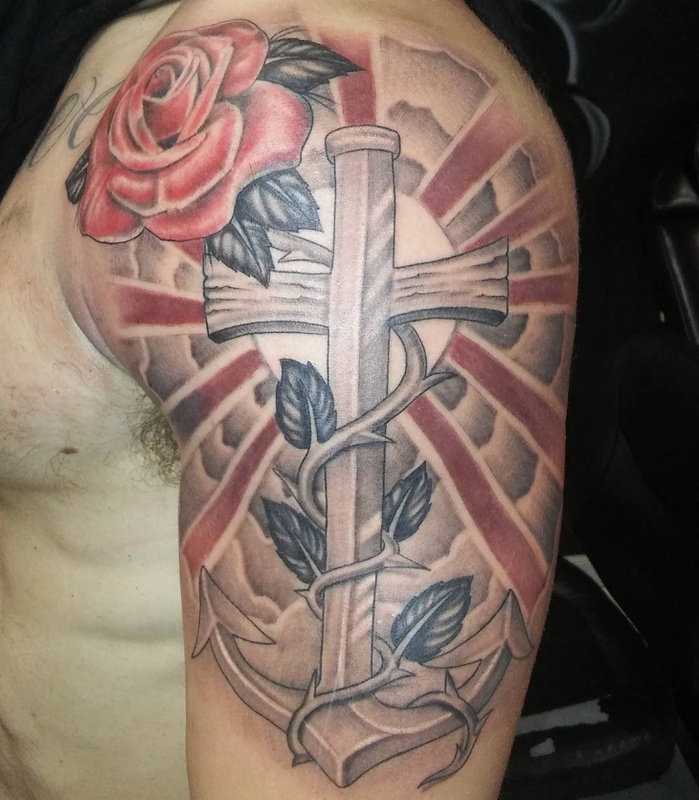 Cross arm tattoo designs involve inking the cross on your arm section. It is perfect for people who love showing off their tattoo by wearing sleeveless outfits. If you are attending an event where people associate tattoos as a negative art, then you can easily cover your arm tattoo with a long sleeve shirt or jacket. 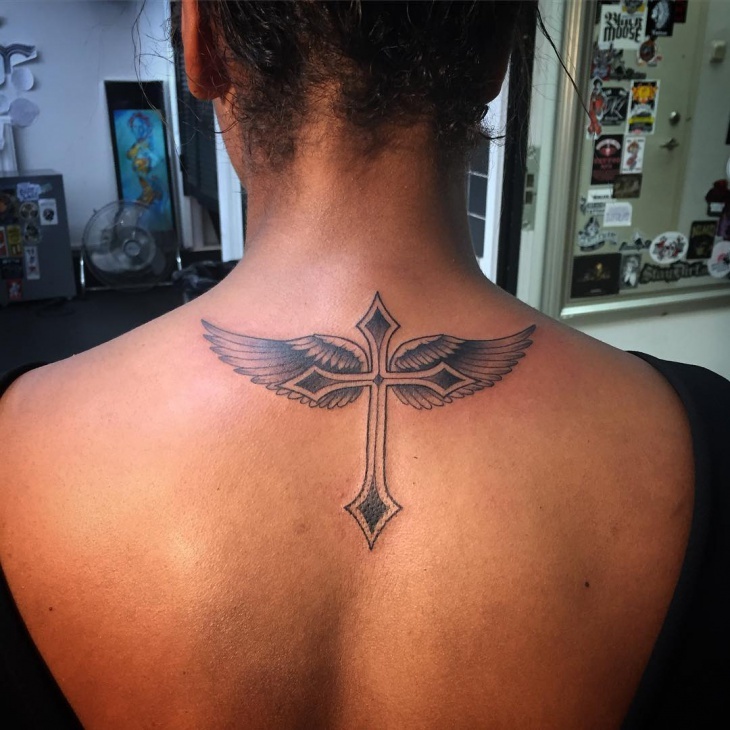 If you love Polynesian tattoos, then a Marquesan cross will be a great addition to your body. This Polynesian cross tattoo symbolizes balance and harmony. 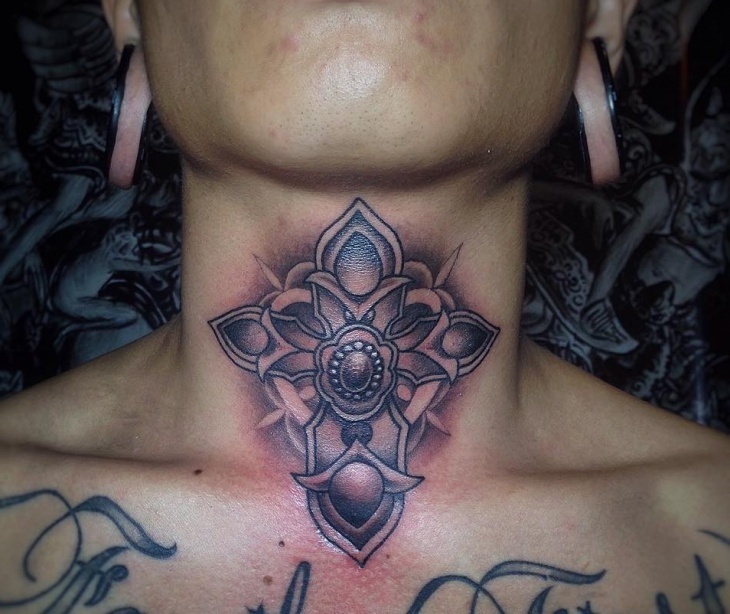 You can also add a turtle shell to the cross to give it a more Polynesian effect. The best place to ink this tattoo design is on the sleeves. If you love butterflies, then incorporate it on your cross tattoo to portray transformation and renewal of faith. 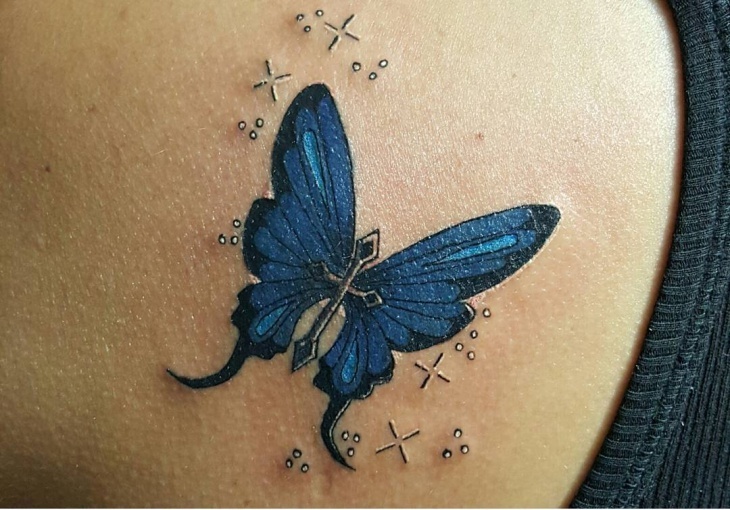 The ideal way of designing this tattoo is to place the wings on either side of the cross and use the vertical section as the body of the insect. 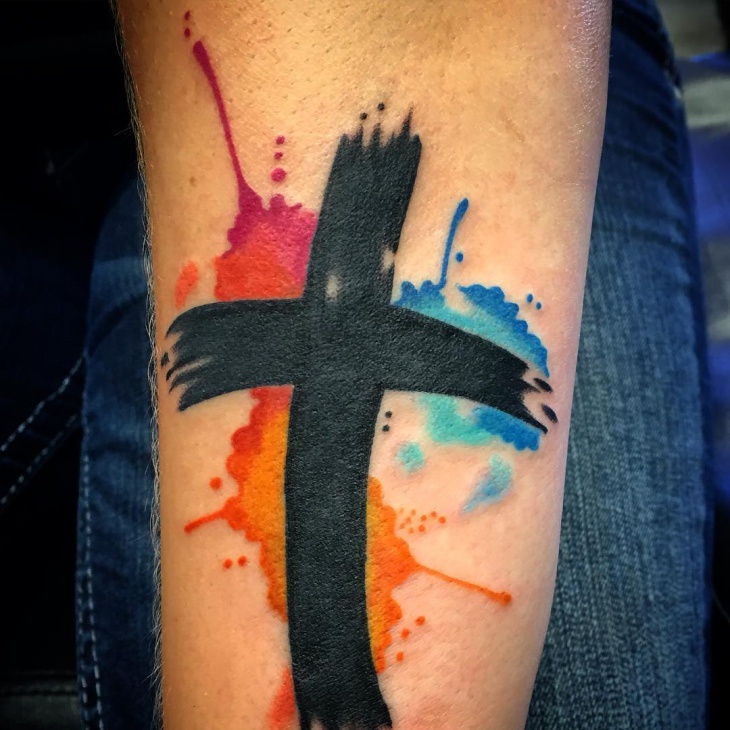 The best way to make your cross tattoo stand out whether small or large is to add color. 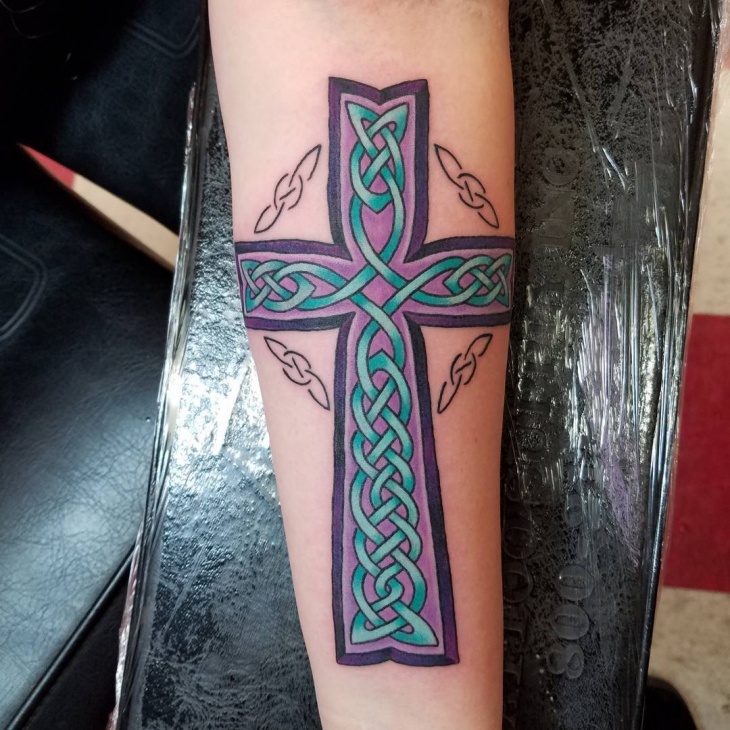 Colorful cross tattoos involve adding vibrant colors such as pink, red and green. Whatever hue you choose just to ensure it complements your skin tone. 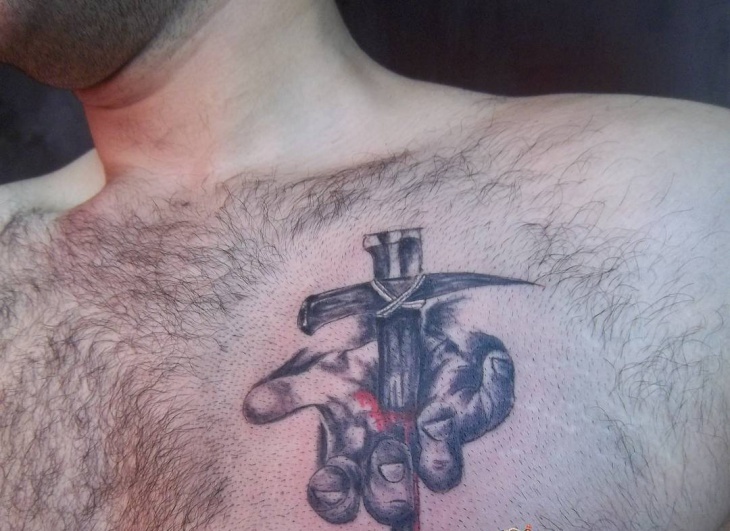 People who intend to proclaim their Christian faith in a powerful way should opt for sword cross tattoos. 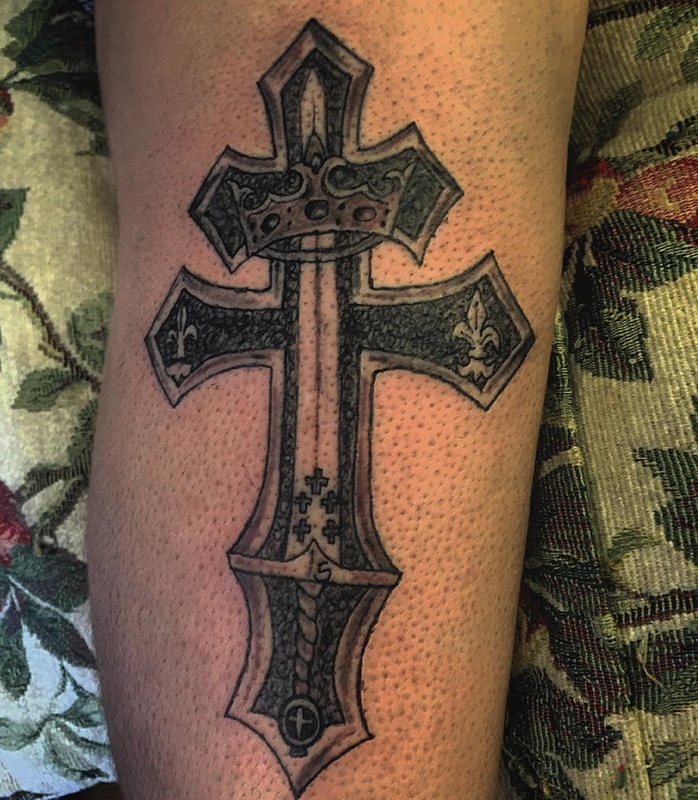 You can customize your cross tattoo by making it into a sword design to reflect your culture and personality. Place this tattoo on the chest area closer to your heart. 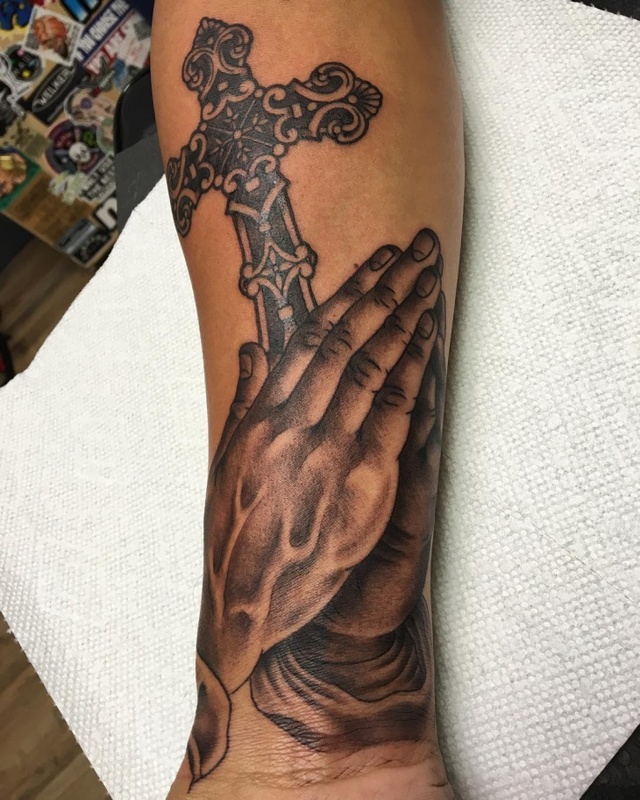 If you need to portray a person praying to a higher power, then hand cross tattoo designs will be perfect for you. 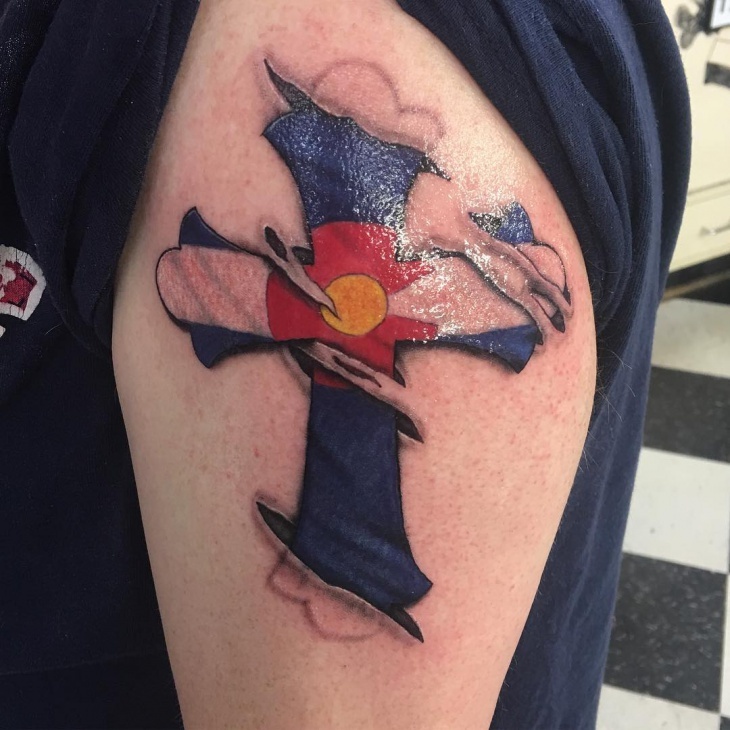 This tattoo suit Christians or people who love expressing their religious stand. 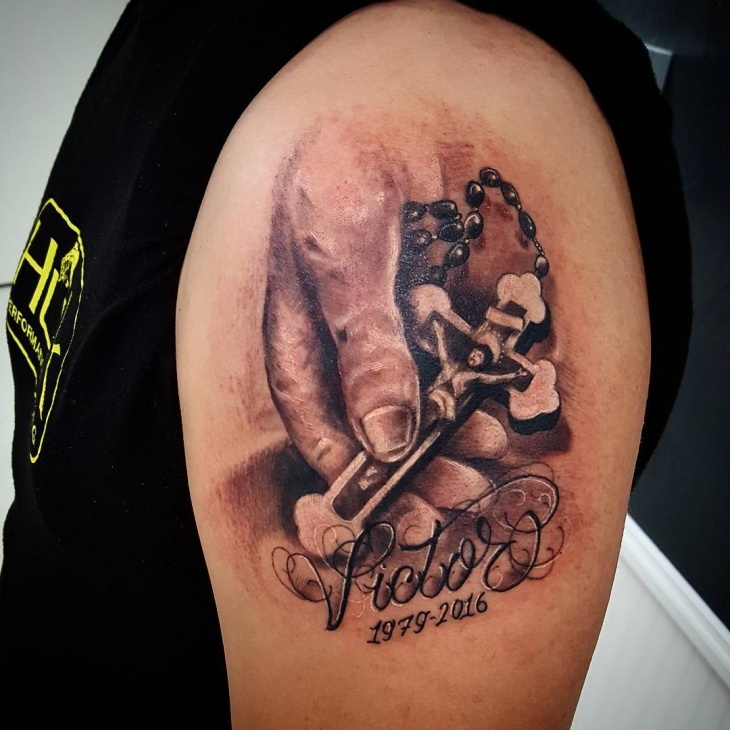 You can work with your artist and personalize your tattoo to include a rosary. 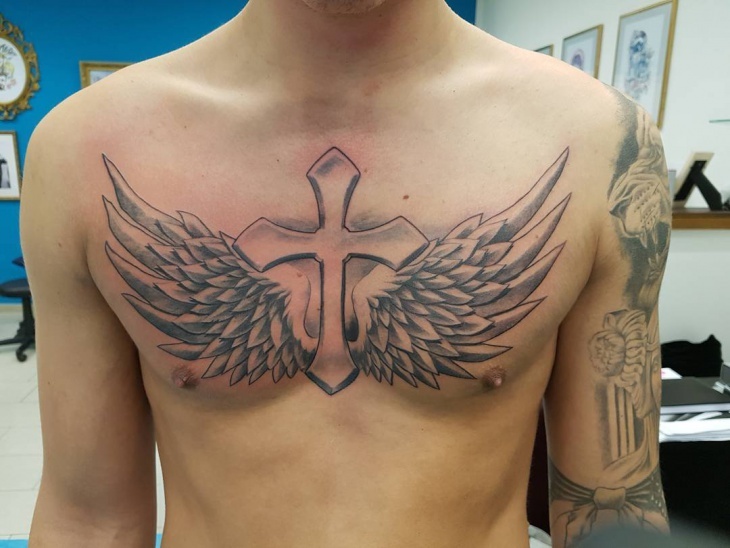 Adding angel wings and a halo is an excellent way of expressing your faith. 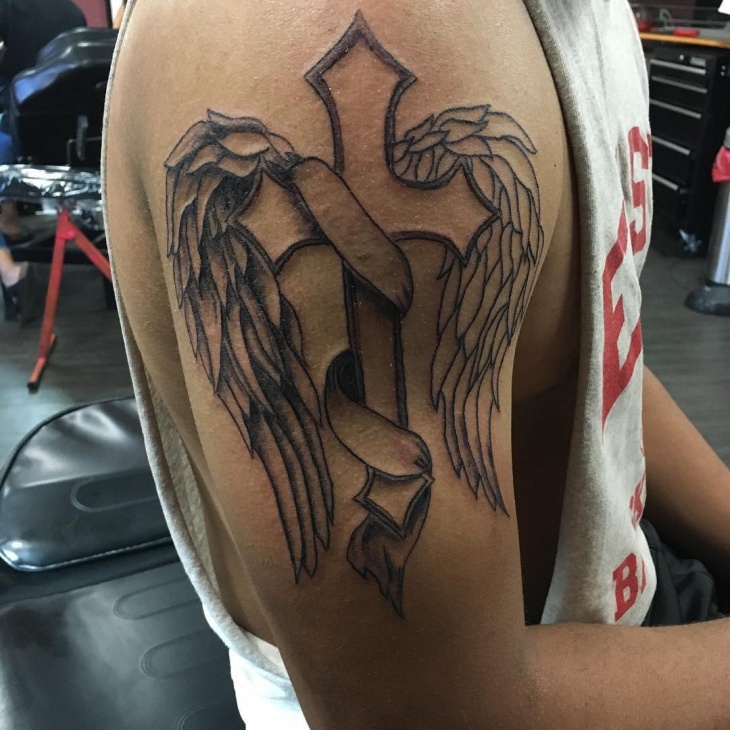 Angel cross tattoos depict how guardian angels are watching over you or links angels with Christianity. You can even add sun rays in the background to represent light which is often associated with angels. 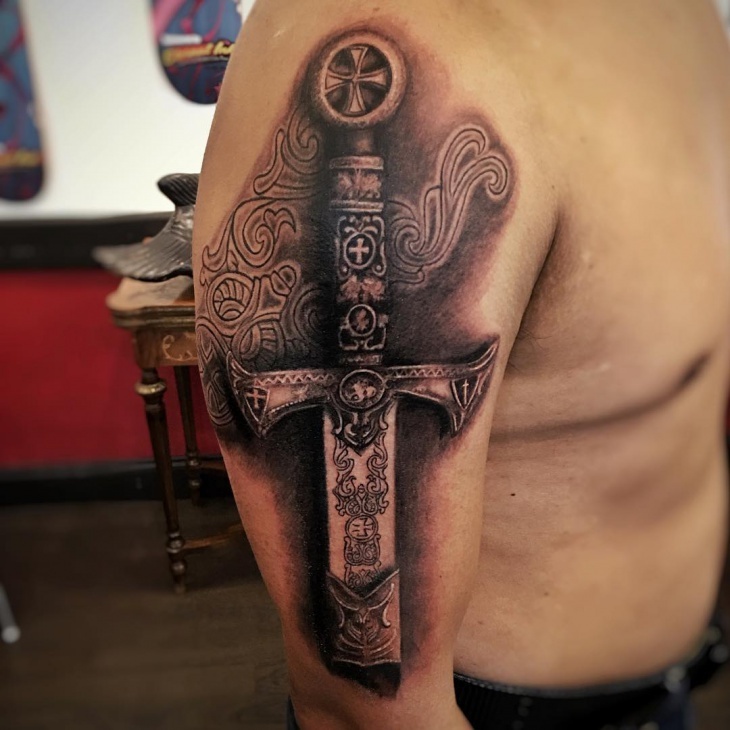 Tattoo artits continue to use creativity to upgrade traditional symbols such as the cross to create designs with unique symbolic meanings. 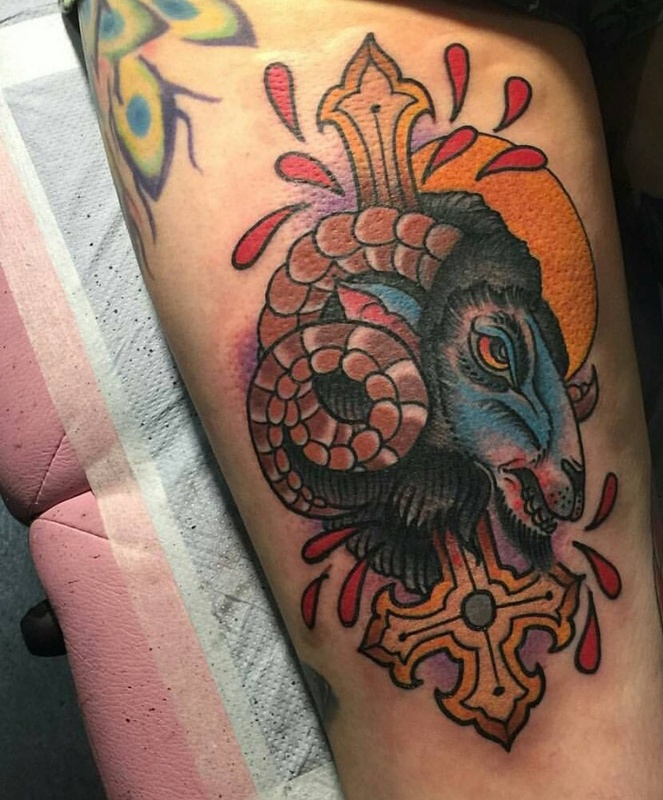 While cross tattoo designs vary depending on culture and symbolic significance, they often depict faith, suit both guys as well as ladies, and you can even integrate flower tattoo designs.